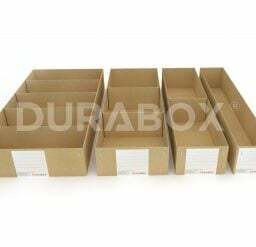 DURABOX double lined solid fibre board is made from more than 60% recycled materials and is recyclable, making it environmentally friendly. 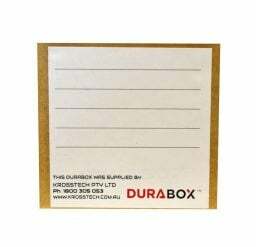 DURABOX double lined solid fibre board is strong and performs in tough conditions. 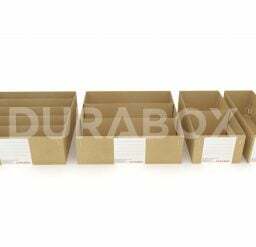 DURABOX has a greater fire resistance, withstanding extreme temperatures. 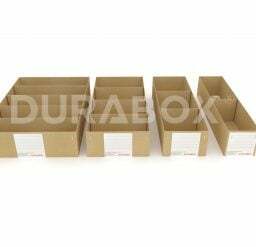 Your invaluable stock items will be highly protected from moisture and various oils. 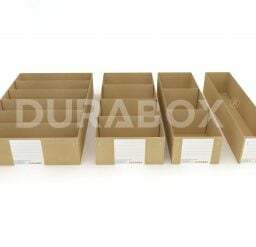 Durability means longer life, and your products will be kept guarded from the elements. 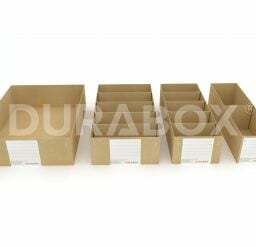 With over 150 sizes and combinations as standard, custom sizing and optional lids for further protection, DURABOX is the product you can trust when it comes to storage of small parts.